Your drivers are the lifeblood of your delivery service. Their efforts keep your fleet on the move and your customers happy. Despite this, it’s not uncommon for businesses to underestimate the impact driver performance can have on overall service productivity. Virtually every factor essential to a delivery service can be optimised, from your vehicles and the amount of fuel they use, to route planning and the time it takes to complete a job, but how can you ensure your drivers are also at the top of their game? Like most of us, your drivers work best without stress. Here’s how an Electronic Proof of Delivery (EPOD) system can help minimise the more taxing aspects of delivery driving and keep your drivers stress-free. 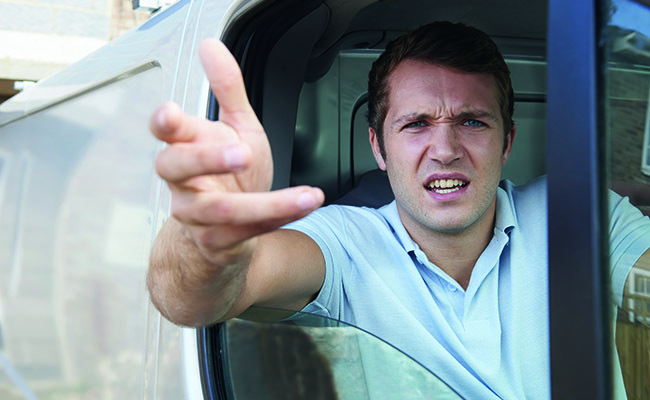 Why is stress an issue for delivery drivers? Many people who spend time behind the wheel will experience the frustrations of the road now and again, but your delivery drivers have to contend with more traffic, hold ups and poor driving behaviour than most. Feeling stressed while driving is proven to affect reaction times and a driver’s ability to spot and respond to hazards, while research has found that drivers who experience work-related stress are more prone to speeding, taking risks on the road and being involved in serious accidents. While safety is undoubtedly the primary reason to keep your drivers’ stress levels down, there are other ways that tension within your fleet can negatively affect your business. Stress makes your drivers more likely to make mistakes from job to job, potentially resulting in delivery inaccuracies and time spent rectifying them. What’s more, as customer-facing representatives of your company, delivery drivers under visible strain are less than likely to make a positive impression on your customers. Keeping track of endless paper manifestos, invoices and delivery notes is onerous work. Even more so when your ‘office’ is the cab of your delivery van. If your drivers are making more than a handful of deliveries a day, expecting them to stay on top of their jobs and keep their physical paperwork straight is a tall order, and one likely to add to their stress levels. All it takes is a couple of print outs to get mixed up and a driver has at least two missed deliveries to resolve. An EPOD system can take all that unnecessary paperwork away, leaving your drivers to rely on a lightweight, ergonomic, easy-to-use electronic device instead. Handheld or in-cab mounted mobile computers can store all the information your drivers need, including optimised routes, maps and even live traffic data, all accessible through the touch of a button. With a single source of accurate, real-time info at their fingertips, your drivers stay calm and in control. The reassurance of having a digital data infrastructure behind your fleet also extends to traceability. Your drivers can quickly and easily log the details of each job as it’s completed, including any issues they might encounter, such as a customer refusing to pay or later claiming that they haven’t received their goods. They can work with the knowledge that there is an electronic record of their shifts, and that they won’t face the stress of rooting through paperwork to verify things if and when discrepancies occur. All vehicles need looking after to keep them in tip top condition but with the amount of miles they clock up, it’s inevitable that your delivery vans will need TLC more often than most. Worrying about a vehicle defect can be distracting and stressful for drivers, and using paperwork to record problems can be unreliable and inefficient. Instead, EPOD systems and hardware enable your drivers to manage vehicle checks while in the field, running through a simple checklist on their handheld devices. Information is sent directly through to your office-based team, so that any further investigative work or vehicle maintenance can be scheduled in without delay. EPOD helps your drivers stay calm and focused Largely due to factors out of our control, driving can be a stressful profession, which is why it’s important that fleet managers take steps to reduce the potentially-frustrating elements of the job that are within their remit. Electronic Proof of Delivery lets them do just that, giving drivers the tools and support to fulfil their duties easily and efficiently, and with minimum stress. To find out more about our EPOD solutions and their capabilities, get in touch with us today.